Australian Dollar is the official currency of the Commonwealth of Australia. The currency is represented by $ or AU$ and by the ISO code AUD. The Australian Dollar is subdivided into 100 cents. The banknotes and coins are issued by the Reserve Bank of Australia. The banknotes issued ranges from 5$ to 100$ and coins from 5c to 50c along with 1, 2$ coins are issued by the Reserve Bank of Australia. The Australian Dollar has an exchange value of 45-55 Indian Rupee. 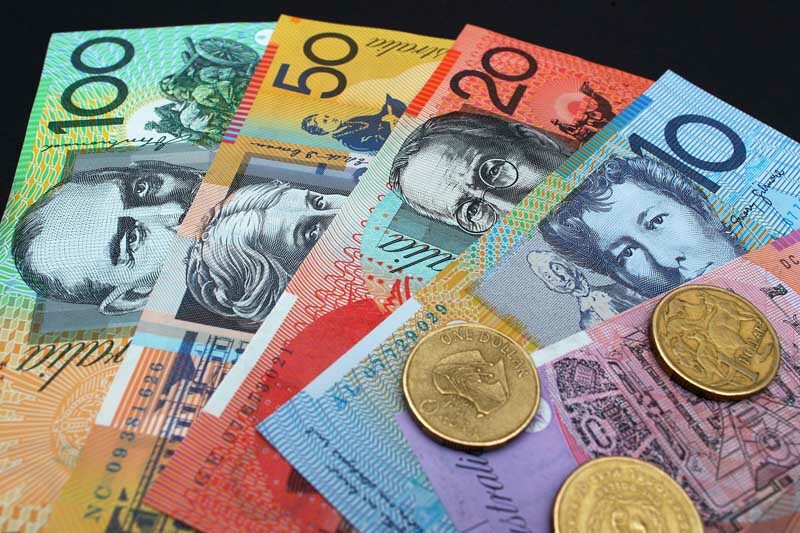 Find the live rates for Australian Dollar against Indian Rupee here. The Australian Dollar is one of the most traded currency in the world. The currency is the official currency for not only Australian territories but also for certain island nations in the Pacific ocean. The Currency is also popular in certain southeast Asian countries, African and French regions. Australian Dollar is a free floating currency that is based on the trading of the currency. The currency is relatively stable due to stability of the Australian economy. The Australian economy is mainly driven by the service sector. Australia is one of the world’s largest educational hub in the world. Australian Universities provide educational privileges to countless students from all over the world. Australia is one of the countries where the concentration of Indian students and entrepreneurs are high. The Australian Dollar is one of the most traded currency around the world as well as India. One can obtain Australian Dollars in India or convert AUD to INR in RBI approved banks and money changers. When travelling to Australia or for students it is important that you carry Australian Dollars with you for expenses. ExTravelMoney.com can help you narrow your search down to find the money changers in your region for the best exchange rate for AUD against INR. Find the vendors and their exchange rate and place your order for the exchange rate that suits you online. With the help of our customer service executive complete the order and make the payment online. You can even request the vendor to deliver the forex to your location and collect the KYC documents. ExTravelMoney.com can help you locate the vendors that accepts Australian Dollars and converts it into Indian Rupee in your region. You can find out the exchange rate without walking into a store. You can find out th exchange rates and various vendors in your region from our website. At the comfort of your home place th order and our customer service executive will assist you in completing the order. You can even request the vendor to pick up the forex from your home along with the KYC documents. Sending money abroad is not simple as you do bank transfers domestically. Not many banks or forex centres offers the facility. You can find the list of vendors that offer wire transfer facility with ExTravelMoney.com. With relative ease you can send money abroad with our help. Make the payment online and the recipient in Australia will receive the payment in three days once the transaction process is completed.